Built-on roller shutters are extremely flexible window elements. Mounted outside the window, they constitute an important design element of the façade. Five systems are available and all of them are suitable for new buildings as well as for renovation. Also, they create outperforming heat insulation efficiency at the inside of the room, they are easy to handle and to clean and made and produced by reliable, quality-oriented partners so that you can make these quality-tested products your own without hesitation. Combining insect roller screens to your built-on shutters, you can even increase warmth, your comfort and security. 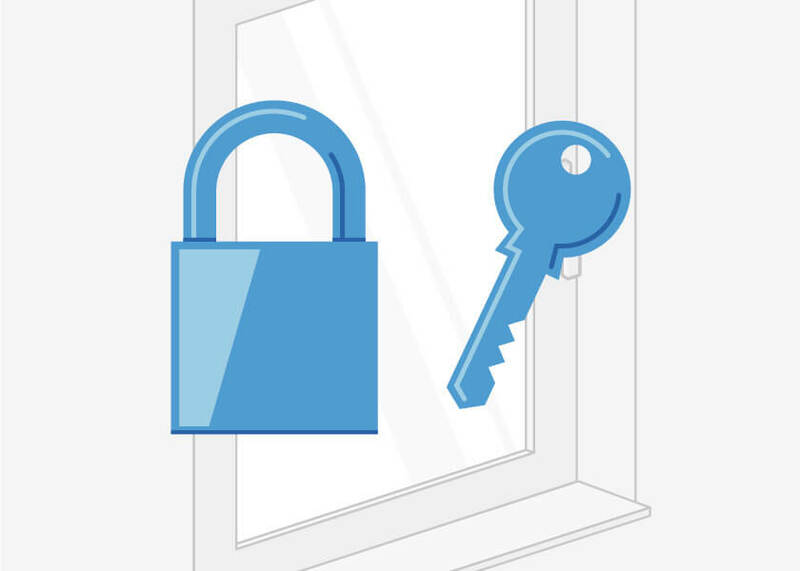 A number of features are available to increase the security of your shutters. 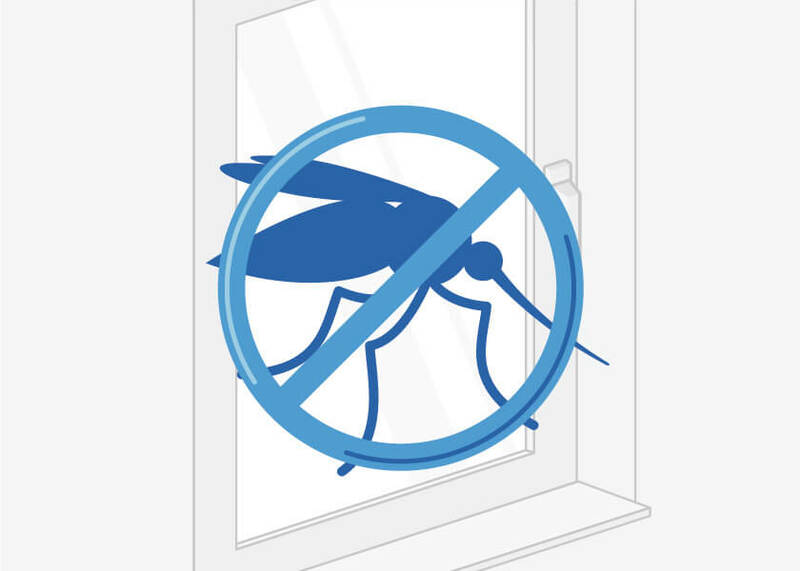 Insect protection is a practical and convenient addition that can easily be combined with shutters. Built on roller shutters shutters represent a special form of roller whereby the shutter system itself is fully integrated into a completely functioning unit within the head box and includes the guide rails for the shutter all of which can then be mounted onto the wall construction or fitted into the window recess. This type of shutter is especially suitable for adding onto an existing house or building at a later stage, as its installation requires no special pre-conditions. Another basic advantage of this type of shutter system is that this particular method of installation requires no hollow spaces over the window or door. Thus any possibe thermal bridging and the build up of mould that comes with it is avoided. A suitable shutter placed in front of a door or a window can also serve as an aid to providing privacy; in contrast to curtains the shutter is very robust and also serves as security against intruders, providing both thermal and sound insulation. The main shutter box can also pose a decorative element and enhance the visual appeal of the building, but it can also reduce visibility and may not suit the type of property – for these reasons care must be taken in the actual selection and installation that this is not the case. The standard model usually consists of a robust aluminium cassette box but, naturally, one can use other materials such as plastic or uPVC units or even heavier materials. Inside this we find the actual shutter. Furthermore there are the guide rails, along which the shutter is raised and lowered. Most of these are fitted with brushes which serve not only to improve sealing but to enhance thermal and sound insulation. Both the box and the shutter itself can be supplied in a variety of colours to match any type of building wall. An additional coating is often applied as extra weather and rain protection, in order that the box remains attractive, clean and free of rust for a long time. Furthermore there is the possibility to opt for the so-called "round cassette". This box is designed with an external rounded form at that spot where the standard box is usually flat. This fulfils not only a decorative purpose, but also provides additional thermal and sound insulation. Hence the built on roller shutters is more than simply protection of privacy and protection against burglary. Insect protection can also be integrated into your built on roller shutters. This can be raised and lowered independently from the shutter and ensures that the living space remains free of pests such as flies and wasps without actually losing any of the light that lowering the shutter would bring. This is a highly practical advantage during the summer months. Finally, we also offer shutter cassettes which can subsequently be plastered over. These provide optimum thermal and sound insulation values and mean that the cassette box is virtually invisible after plastering. This method is especially suitable for families and owner-occupiers who prefer to have built on roller shutters fully integrated into the facade of the building. However, it must be pointed out that it is slightly more difficult to carry out subsequent alterations to this type of shutter. Another way in which shutter systems are divided is the method of operation: Operating systems using a belt strap, crank handle or with an electric motor are available. The first of these is probably the most widely-known. Belt or pulling strap operation functions by winding a belt around a special belt pulley mounted on the shaft in the cassette which is then lead into the living room. When the belt is pulled the shaft turns and simply from the weight of the shutter itself the shutter can then be lowered. Pulling on the belt the shutter can be raised and the strap winds around the shaft once more. This method is relatively safe, as no technical equipment is required, and operation is carried out completely mechanically - defects occur very seldom. However, some force is required to raise the shutter which could pose a problem for older people and for children. When installing a heavier shutter system the strap system is not to be recommended, a steel cable and a crank handle should be fitted thus providing a better transmission of force. And, of course, it is possible to purchase a shutter system equipped with an electric motor - here one does not require force to raise and lower the shutter, however, technical defects and restrictions can apply. By using a timer or a sun sensor the shutter can be programmed that either the shutter raises and lowers according to a set time or that it rises with the sun in the morning and is lowered in the evening at dusk automatically. This ensures, for example, that the heat insulation in the room is ensured even when one has forgotten to lower the shutters. The particular model of built on roller shutters, the actual design and method of operation that one chooses will, of course, depend very largely on personal needs and tastes.